Training is a key part of the team’s development to ensure that skills are kept refreshed. Callouts rarely happen on warm summer evenings, so the team train hard to be prepared to go on the hill in all weathers, at all times of the day. All these training sessions are done in the spare time of the MMRT volunteers, so it is a big commitment throughout the year. Due to the remote nature of our work, first-aid training is advanced, as it can be several hours before a casualty reaches professional medical help or a hospital. All team members are trained to Remote Emergency Care REC 3 & 4, and many have advanced WEMT (Wilderness Emergency Medical Technician). 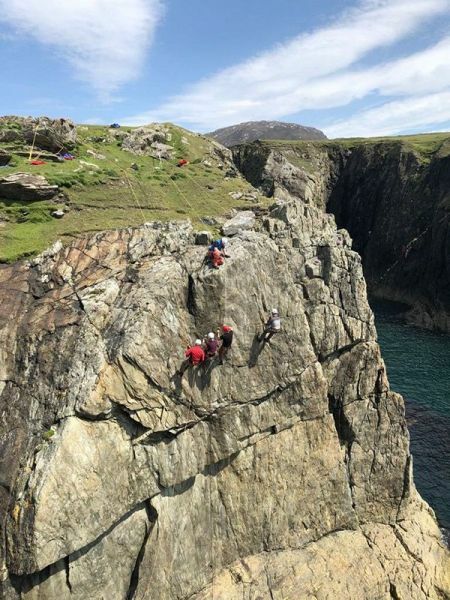 All full team members are certified in Mountain Skills, and many also hold qualifications in Mountain Leadership, Search Management, Cliff Rescue, Rigging, and Party Leader, Helicopter, White Water and Winter Skills. 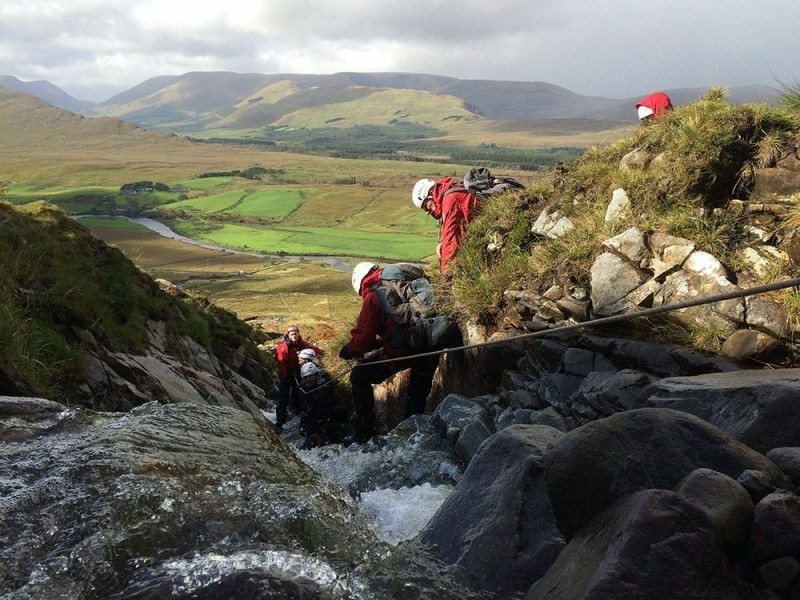 As well as hosting the annual Croagh Patrick pilgrimage, MMRT have also hosted and organised Equipment and Safety courses for Mountain Rescue Ireland. In addition, MMRT train with our partner organisations, especially the Irish Coast Guard Helicopter team based in Sligo R118. 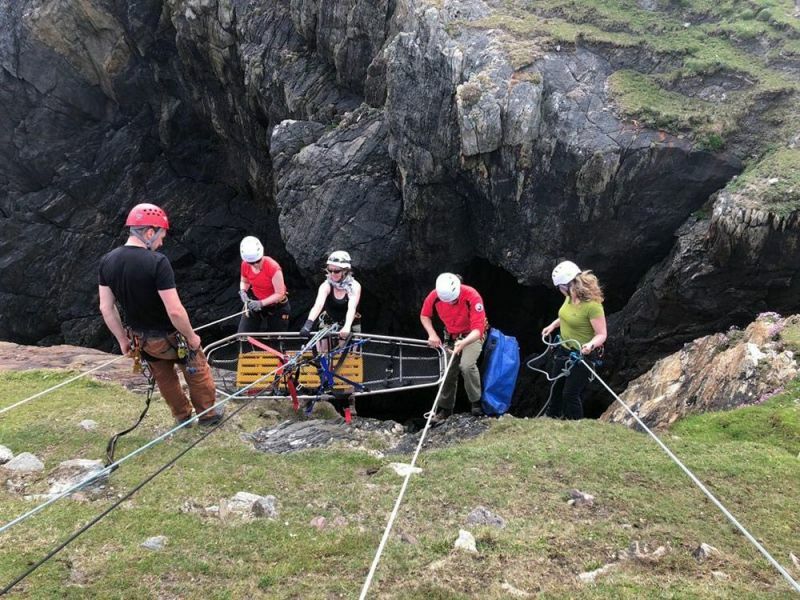 Training MMRT members for air rescue is standard within the team and the deployment of a helicopter crew works in conjunction with MMRT ground support. Close attention is paid to working in the new aircraft’s (Sikorsky S-92) heavy downdraft, making safe zones for landing/holding, winching MMRT personnel, our equipment, and casualty evacuations, are all part of what we do on the hill.